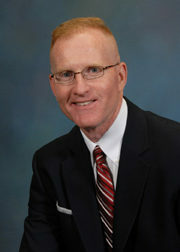 Scott Lunsford, owner, has been in the insurance and financial services business since October 1988. He will keep your money growing and it will not be exposed to market risk. If you have left your employer and have a 401k, Scott will advise you on what you can do to keep that retirement account safe and keep it growing for future income. Scott lives in Chillicothe, Ohio and enjoys golf, reading, exercising and he is a huge Ohio State football and basketball fan. He was born and raised in Chillicothe, graduated from Chillicothe High School and earned his BSPE from Ohio University.